Minister for Trade, Investment and Innovation, Ivan McKee MSP, has today (Thursday 31st January) launched an updated National Plan for Industrial Biotechnology (IB), which aims to boost industry growth and innovation while also raising public awareness of IB as a technology which can help deliver a sustainable future. As well as the key themes of skills, innovation, biorefining and industry engagement, the new updated National Plan also makes public engagement a top priority. 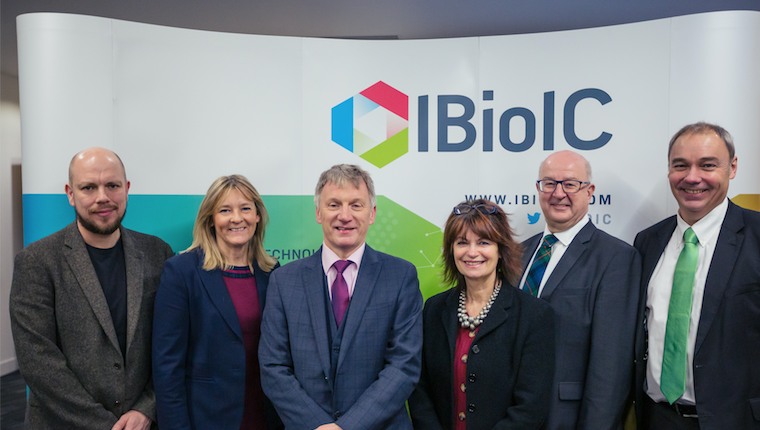 The launch took place at the Industrial Biotechnology Innovation Centre’s (IBioIC) 5th Annual Conference in Glasgow, which continues to be the largest IB conference in the UK, attracting an audience of over 450 local and international delegates from industry and academia. The IB sector makes an important contribution to the Scottish economy, whilst also reducing our impact on the environment. By using plant-based sources to produce or process materials, chemicals or energy, IB has the potential to address some of the world’s biggest challenges by offering green alternatives to fossil fuels. When the National Plan was initially published by the Scottish Industrial Biotechnology Development Group (SIBDG) in 2013, it set out an ambitious target for the IB sector to reach 200 companies and a £900 million turnover by 2025. The industry is on course to meet these targets, having grown from 43 to over 110 companies with an additional 170 jobs created, and a compound annual growth rate of 10% to over £340m per annum. A key reason for this success has been the establishment of IBioIC in 2014, which has quickly been recognised as a European centre of excellence for industry-led research, having supported 48 industry/academia collaborative projects with an accumulated value of £14m. In August 2018, IBioIC received £11m of core funding for a further five years to continue supporting the rapidly growing IB industry. Roger Kilburn, Chair of the Scottish IB Development Group, said: “The updated National Plan will be IBioIC’s key roadmap for the next five years, and our goals align closely with it. The IB industry in Scotland has strong foundations and has grown significantly over the past five years, but we need to aim even higher. Scotland is perfectly placed to become a world leader in industrial biotechnology – we have a highly skilled workforce, well-established IB companies of all sizes who are pursuing aggressive growth, and a unique wealth of relevant natural resources such as algae, agricultural waste and forestry. Do you have news for the Scottish Life Sciences Community? By signing up, you agree to receive the Life Sciences in Scotland newsletter. You may unsubscribe at any time.